Poppy Denby Investigates is a mystery series set in the 1920s about an investigative journalist called Poppy Denby (no surprises there). It is published by Lion Fiction. The first book in the series, The Jazz Files, sees Poppy arriving in London from her home in Northumberland to look after her paraplegic Aunt Dot. Aunt Dot is an infamous suffragette who was crippled in clashes with the police outside the Houses of Parliament in 1910. She encourages Poppy to apply for a job at The Daily Globe which is owned by American expat, Rollo Rolandson, a hard-drinking but highly astute newspaperman who has dwarfism. On Poppy’s first day on the job a senior reporter dies under suspicious circumstances and she takes over the story he was investigating before his demise. It involves the mysterious death of a suffragette seven years earlier and the powerful people who are now trying to hide the truth. But with Poppy it is never all work and no play. Her friend Delilah Marconi – a flapper and jazz club dancer – introduces Poppy to the giddy world of the Roaring Twenties with its jazz clubs, flapper fashion and romance. 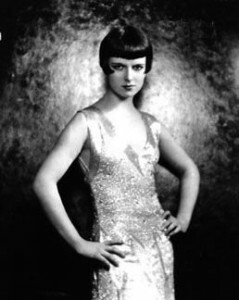 If you love mysteries and 1920s culture, you will love Poppy Denby. On this website you will find background information on the world of Poppy Denby. Much of this informed the writing of author Fiona Veitch Smith. You can listen to the music Poppy listened to, check out the fashion of the period, or, if you want to dig a little deeper, find out more about the history of the women’s suffrage movement. If you haven’t yet read The Jazz Files, don’t worry – there aren’t any spoilers. 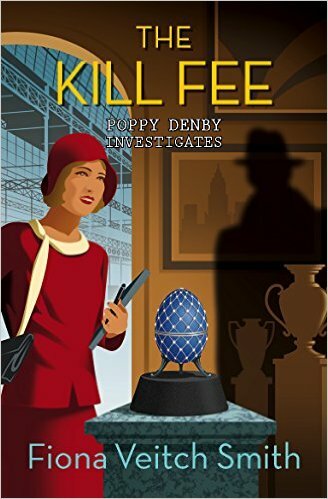 Book 2 in the series, The Kill Fee, sees Poppy investigating the theft of a Faberge Egg and the assassination of a White Russian Princess in a West End Theatre. Book 3 in the series, The Death Beat, sees Poppy and Rollo heading to New York for three months and discovering it’s murder in Manhattan. Great website, Fiona. And great story. Congratulations. My book club has the next few books lined up, but I’ll see if we can give this a go early next year. The Jazz Files is a fantastic book Fiona, reminded me of Agatha Christie at her best. Looking forward to the second book coming out next year. Thank you Mandy! What a kind thing to say. I’m very glad you enjoyed it and hope book 2 won’t disappoint. Thank you Lesley I too struggle with AC’s characterisation – and even though Poppy is a fan of her books, I’m not. But I think (hope) Mandy was referring to the mystery element and plotting. So I do take it as a compliment. I have only just started reading the Jazz Files, but already I’m riveted. I will be looking out for the sequels with great anticipation! One book at a time Louis, one book at a time … glad you’re enjoying it. May it continue! Poppy lives! A new, adorable and unforgettable literary character is born. Can’t wait to read the next one, and the next, and the next.. Thank you for creating a wonderful character and writing her a really great mystery. Almost finished the book and I’ll be very sorry to leave her world. Thank you Sally. I’m delighted you enjoyed spending time with Poppy. Her next adventure starts on 16 September! I can’t wait to start reading about Poppy’s adventures! Just this year I’ve joined a romantic suspense group in Romance Writers of America and I’ve been wanting to read more mystery and suspense. Poppy is just what I need to study the mystery/suspense genre. Hello Tambra! I do hope you have fun with Poppy. Life in the romance department is a little complicated for the girl. Tricky to juggle love affairs with solving crime – but she gives it a good go Enjoy! Once I started to read The Jazz Files I couldn’t stop. All work has been put on hold and I’ve just finished it. What a fantastic read – much better character development than many authors in this chenre, and I read a lot!Can’t wait for the next one. Thank you for a thrilling story with good background, believable characters and a great story. How kind of you to stop by Jane. I loved writing this book so I am delighted that you enjoyed reading it. The next one will be out on 16 September. 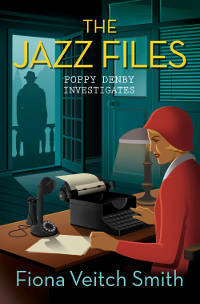 I was thoroughly drawn into the world of the Jazz Files with Poppy Denby and characters. I didn’t want the book to end and can’t wait until your new book comes out. That’s lovely to hear, Christine. Thank you for letting me know. The new book, The Kill Fee, is coming out on 16 September and I hope you enjoy it as much as the first one. Friends and I very much enjoyed your talk today at Newcastle City Library and look forward to reading the books. I just wanted to say congratulations on being nominated for the Historical Dagger. What an honor! I finished “The Jazz Files” this week because it was advertised in the back of my Lion Fiction book, “The Cantaloupe Thief.” I thoroughly enjoyed your mystery and hope there will be more cross-referencing on our back pages. Thank you so much for stopping by. The Cantaloupe Thief is a wonderful book – and don’t you just love the cover? Thanks for the well wishes re the Dagger. It is indeed a real honour – and it’s been huge fun going to all the events. 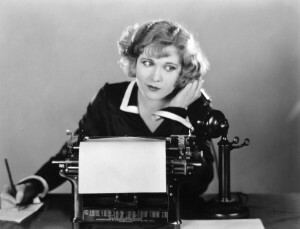 I shall pass on your comments about cross referencing to Lion – yes I think it’s a fabulous idea! Book 2 in the series, The Kill Fee, is coming out in the States later this month. I hope you enjoy it as much as the first. Will we be seeing any more of your series? Yes, “The Cover Story” is supposed to come out in April, but that could change, I’m sure. Could you tell me when the third Poppy book will come out? I can’t wait! Hi Judy. Book 3, The Death Beat, will be out in the autumn – October in the UK and November in the USA. Sorry you have to wait so long! I absolutely love The Jazz Files. I found it by googling historical mysteries and it popped up! It was just one of the best stories snd I like that I learned all sorts of fun facts from it! I have already purchased The Kill Fee and pre-ordered book 3. Please keep them coming! Hello Leslie! Oh what fun! I’m so glad you found the books and have enjoyed them. Book 3 is already out so I hope it gets delivered to you soon. Just finished The Kill Fee – thank you – I really enjoyed it. I always appreciate the time spent by the author to state historical facts and liberties. One thing jumped off the page – Sir Walter Lane of Guisborough- what was the inspiration behind his name? Book 4, The Cairo Brief, will be out later this year on 18 September. Hi Fiona, I discovered the Poppy Denbee books by chance recently. I couldn’t put The Jazz Files or The Kill Fee down, and my mother and mother in law (who have borrowed my copies) say the same. I am now devouring The Death Beat. Hope to see more of your wonderful writing. Oh how lovely, Hannah! May I ask where you came across the books? I am really enjoying your books — I am just finishing Kill Fee — as you do a great job with the characters and the plots work well, but every so often I get a little “jolt” because of the historical inaccuracies. It is probably because I am old enough to remember things like the “invention” of Ms as a salutation in the 1970s, so I know that it would not have been used in 1920. And gunshot residue wasn’t discovered until 1971. It’s been a while since I read the Jazz Files, but there were similar things in that one. At the same time, it is obvious that you have put effort into getting the setting right, and mostly you succeed. The thoughts Poppy has about her options as a woman considering marriage are right on, for instance. You should consider getting someone to check for the little things for you, and then your books would be great. Thank you for stopping by and I am glad you are enjoying the Poppy books. A team of 3 editors check my books – for big things and little things. When faults or inaccuracies are spotted they are flagged up and corrected. But some things are still missed. And I’m afraid will probably continue to be so. That is the nature of the business. We do our utmost to give readers the best experience possible, but sometimes we (and most particularly I) will fall short of the mark. Thank you for the information about the gunshot residue. I shall file that away for future reference. Regarding Ms, Rollo’s use of the word ‘Miz’ is not referring to that. It is indicative of his accent. It was a decision we made as an editorial team in The Jazz Files to set his dialogue apart without resorting to a complete phonetic rendition of everything he says. I see how this has caused confusion and I apologise for that. I hope you enjoy the rest of the Poppy books, despite the occasional unintentional error which unfortunately will inevitably occur. Poppy is pick of the week! The "unusual" 1936 Bentley was locked away for three decades at the home of an ex-RAF pilot. Fiona Veitch Smith - author shared a post. "Atmosphere is as important as the slick plot and engaging story in this novel and it added hugely to my enjoyment. The misty gardens at Winterton Hall, the British Museum and surrounding streets in snow, all underpinned by that first spooky scene in the newly discovered tomb provoke delicious chills and put the reader very firmly in Poppy’s un-sensible shoes. A delight from start to a rewarding finish."